When electromagnetic wave transmitted to free space. There are two components transmitted with the propagation affected by antenna radiation. These component are orthogonal with the propagation direction. 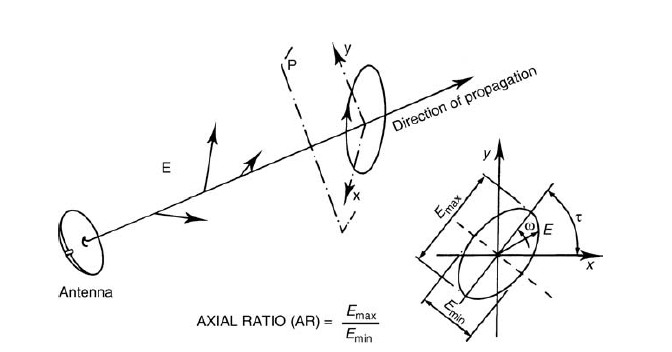 These components called polarization The polarization of wave direction is defined by electrical field. 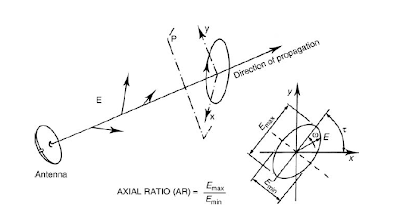 Based axial ratio (AR), there are three kinds of polarization, the axial ratio is the ratio of the major line and minor axes of the ellipse. 1. Linear polarization, when the AR value is unlimited ( ). In this case, the minor axis's value is 0.